You may not know it by name yet, but you’ve probably seen the Google Knowledge Graph on one of your search pages. It’s the tool being used by Google to provide users with more immediate information. It’s also a tool that will soon affect your website’s branded organic search visibility— if it hasn’t already. Google’s goal is to help users find what they’re looking for as quickly as possible. Toward that end, it’s created the Knowledge Graph, which shows immediate information on the Search Engine Results Page (SERP) to provide direct answers for the most common searches on any given topic. 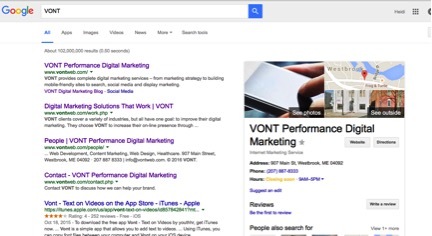 VONT became focused on the Knowledge Graph this past fall when metrics for a client’s branded organic search (which occurs when users search for an organization by name) showed that results were down over the same period last year. The question was – what had changed for the client? After investigating several possibilities, some collective brainstorming hit upon the realization that while Google initiated its Knowledge Graph in 2012, it came to dominate the top of the SERP during the last half of 2015. A review of other client website analytics found that the sites for which Google had created a Knowledge Graph all saw a decrease of 50%-70% in branded organic search. Kind of amazing. VONT’s SEO guru Mark Beale connected with his contacts at Google who confirmed that the Knowledge Graph had been appearing with greater frequency over the second half of 2015 and that we should expect an associated drop-off in branded search traffic to sites for which a Knowledge Graph appears on the SERP. 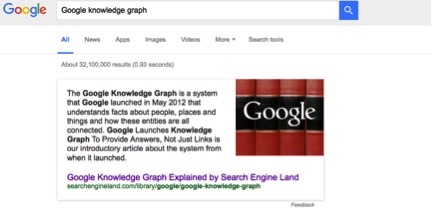 So how does the presence of a knowledge graph affect branded organic search? You first need to understand that all knowledge graphs are considered Google property. That means that each time a user clicks on the website link within the graph, it’s considered a referral from Google.com, and therefore not attributed as a brand keyword search in Google Analytics. In addition, each time a user finds what they were looking for directly in the Knowledge Graph, it negates the need for a visit to the website itself, so there is one less visit coming to the website from the branded keyword search. Both scenarios lead to a decline in site visits due to branded organic search, although the first scenario results in a corresponding increase in referral traffic from Google.com. VONT projects that by the end of 2016 the graphs will be showing up on most searches. In addition, graphs currently appearing on the right hand side of the results page will soon begin appearing in the center – effectively pushing other results down below the fold. 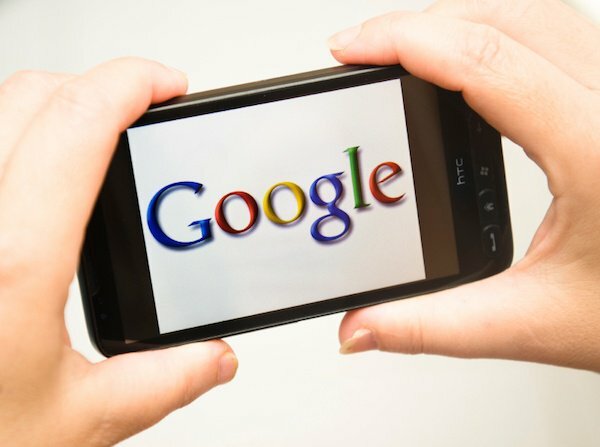 On mobile devices, the graph may be the only result seen without having to scroll down on the first page of the mobile SERP. The rise of the Knowledge Graph is yet another example of how change in the digital world is the only constant. If brands want to succeed, they must embrace the change and work with it. Optimizing your business in the era of the Knowledge Graph means embracing the areas that feed into it: Wikipedia, Google+, Wikidata, and your own website’s use of Schema Markup. Be sure that each of these areas is up-to-date so that the Knowledge Graph knows everything it needs to know about your brand. If you don’t have one already, create a Wikipedia page for your business. Not sure how to begin? Read Wikipedia’s Publishing Your First Article. Be aware that it is super important you demonstrate why your business is noteworthy with citations and facts that can be substantiated. Wikipedia’s Manual of Style will show you how to lay out your information. A Google+ page validates your brand with Google. If you’re not familiar with Google+, be sure to read our social media marketing posts on the Google+ Latest Revision and Google+ Best Practices. Once you have a G+ page for 30 days, you can claim a custom Google+ URL, which will link directly to your G+ profile or page. Link your website to your G+ page. If you have a local Google+ page (one that places your business at a particular physical location on Google Maps) the use the local verification process to add your business information to Google Maps and display the verification badge a G+ page. Be sure to fill in the Tagline and Introduction fields under Story in the About menu. The Tagline also serves as your Meta description when your G+ page shows up on a SERP. Schema markup is a webmaster website coding technique that helps search engines determine what the text of a webpage actually means. Adding schema tags will help Google recognize your different data items such as reviews, phone numbers, dates and times, etc. Visit Schema.org to see how you can add schema code to your existing data. With Freebase closed, Wikidata now feeds the Knowledge Graph. Set up a page on Wikidata to help control what Google uses to inform the world about your brand. Google is focused on providing the best user experience, and you should be, too. Better user experience translates into better engagement translates to the type of website Google wants to deliver in its results. Not only that, but you want to build an audience without depending solely on Google so that changes like this don’t dramatically affect you. Offering the type of site that has valuable content and provides answers quickly is a great way to build one. Google’s goal is to build a knowledge databank that people can access easily through its search engine wherever they may be. In other words, it aims to become less of a search engine and more of a knowledge engine. It may change its algorithms or add new tools as it chases that goal. Use each of these updates as a reminder to cultivate your audience from a variety of avenues. And remember that Google will never stop sending traffic to websites that provide worthwhile information. We believe in this idea of continual fine-tuning so much that we named our company VONT, which means to achieve exponential improvement in incremental steps. It is our core belief, and the reason why we are not simply a Maine web design company or digital advertising agency, but rather a long-term, single source partner providing a comprehensive array of web development and digital marketing capabilities.